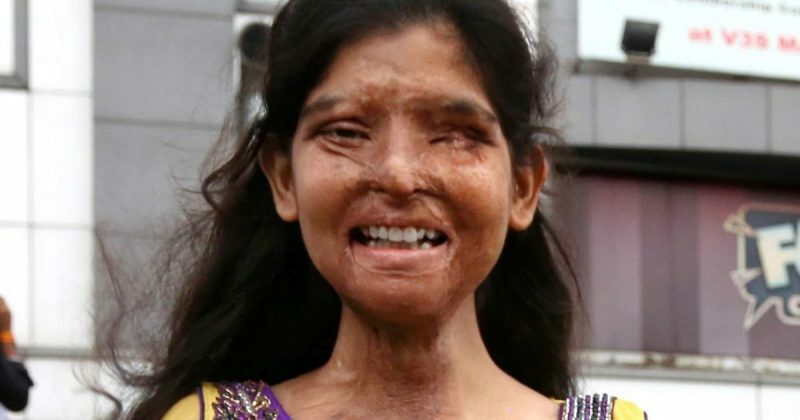 AsianAge Islamabad: Three Muslim girls, including a sister duo, in Pakistan’s Punjab province suffered burn injuries in an acid attack on Thursday when they were allegedly attacked by the sisters’ uncle for rejecting a marriage proposal, according to media reports. 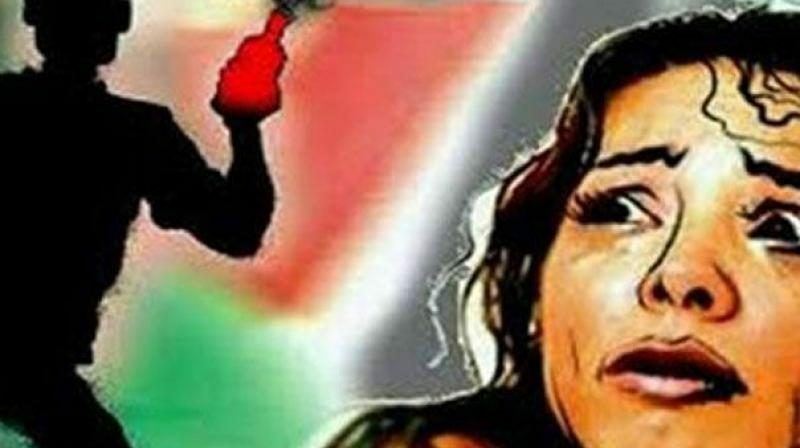 The sisters and their friend — all said to be university students — were standing at a bus stop in Dang district of Gujrat in the morning when the men arrived on a motorcycle and hurled acid on the girls, DawnNewsTV reported. The girls suffered burns on their face and arms and were admitted to a hospital, according to police.”The primary suspect was the uncle of the two sisters who were attacked. Another accused was identified as the uncle’s friend,” Dang police Station House Officer Ameer Abbas was quoted as saying in the report. The police official’s statements were seconded by one of the victims, it added. One of the girls had refused a marriage proposal which was the reason behind the attack, the police said, adding that the uncle and his friend are still absconding while the third accused has been arrested. Punjab Chief Minister Shahbaz Sharif and Inspector General of Police Arif Nawaz have sought a detailed report of the case. 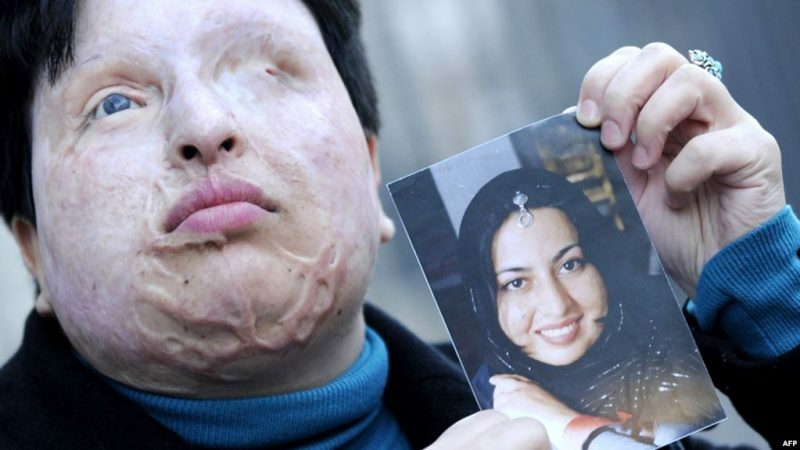 Examples of Muslim women who have been mutilated for life by acid attacks, for being disobedient, usually by their own family members. 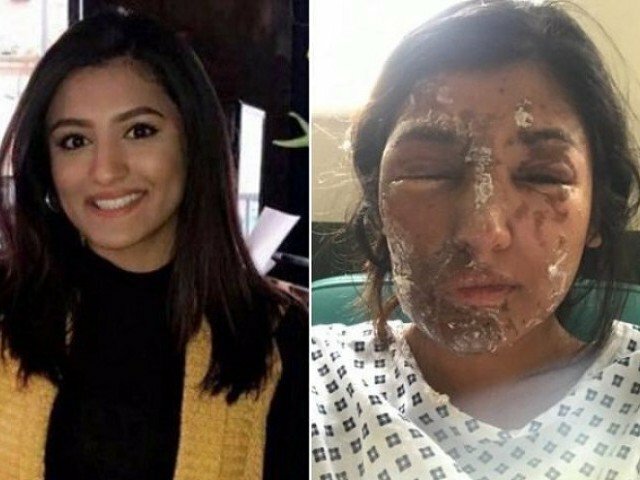 So when Sadiq Khan claimed that terrorism was part and parcel of city life it includes acid attacks as well. Surely opening the gates for the muslim horde can’t be the reason for acid attacks, it must be a coincidence. Or not. 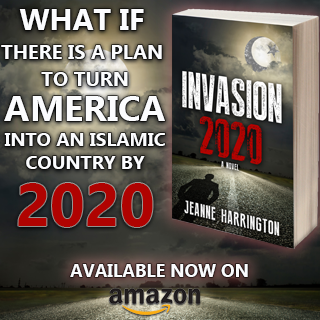 i also believe this is a fate worse than death and all muz perps should have their penises removed, then have acid thrown in their faces….I am at my limit of what is going on in this world….I have shell shock at this point…between the muz savages and the anti-Semitism, the intersectionality between black lives matter, women’s marches, palis and they all hate Jews….I feel physically ill……..the world has gone mad, and the only thing holding America together is Trump….Without Mr. Trump we are doomed. Something needs to happen….and it will…may G-d bless us all, that is: we the people, not the muz or the above mentioned hoods. 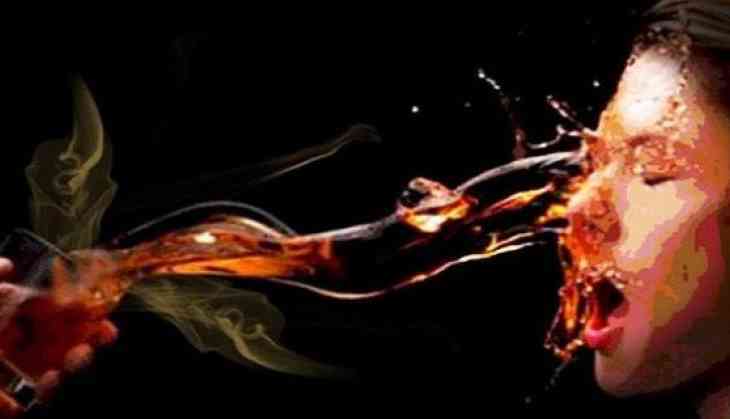 And then again, i think this: Adonai l’i, v’lo ira…..G-d is with me: I have no fear. 72 iron maidens (Sycthians daughter) dismemberment for islamist with sharia delusions of honor. Well, you know, London people-kind are behind these attacks. Who else could it be? Where are all the “feminists” protesting this? They go on Women’s Marches to protest their own “horrible treatment” and “harassment” in the US. “Every time I go walking I get cat called”. Oh, poor you! Take a look at these pictures…. Overeating, packing on the pounds, growing hair on their legs and dreaming up new ways to hate white men. 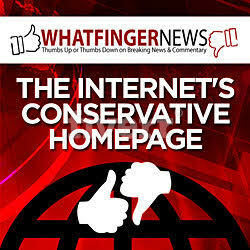 A dramatic spike in knife attacks …. a rising tide of acid attacks lifts all blokes ? A fate worse than death. 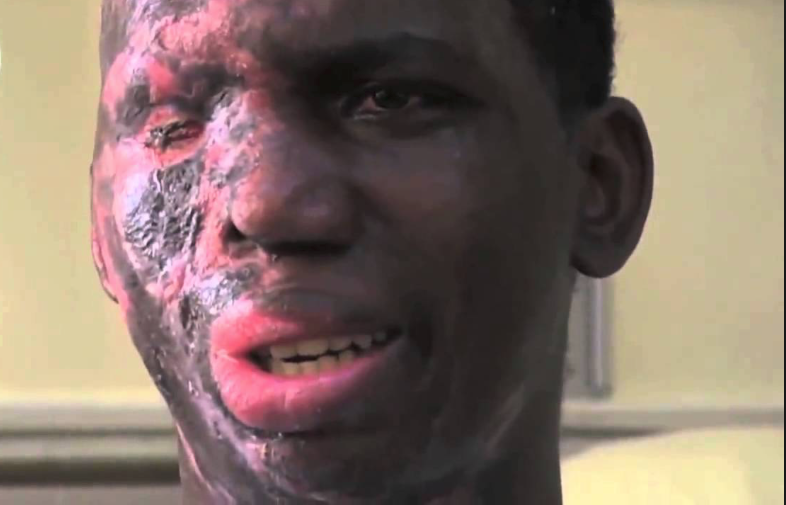 Disfigured, blinded, terrible pain, unmarriageable, unable to join society, difficulty eating. Who else but a Muslum would do this? I remember when this first really started some idiot journalist saying this dated back to Victorian times! Was duly taken apart in the comments. 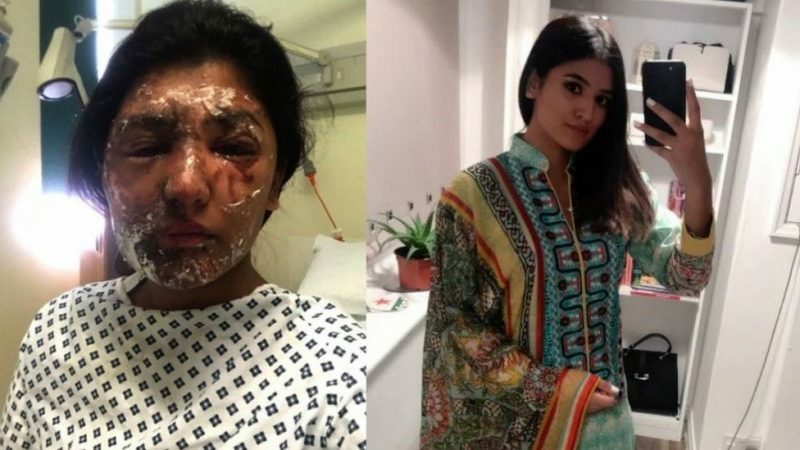 The punishment for acid attacks should be public castration at the very minimum. Take away every ounce of manhood from these savages . Their fear would be so great they would never consider carrying out an acid attack . 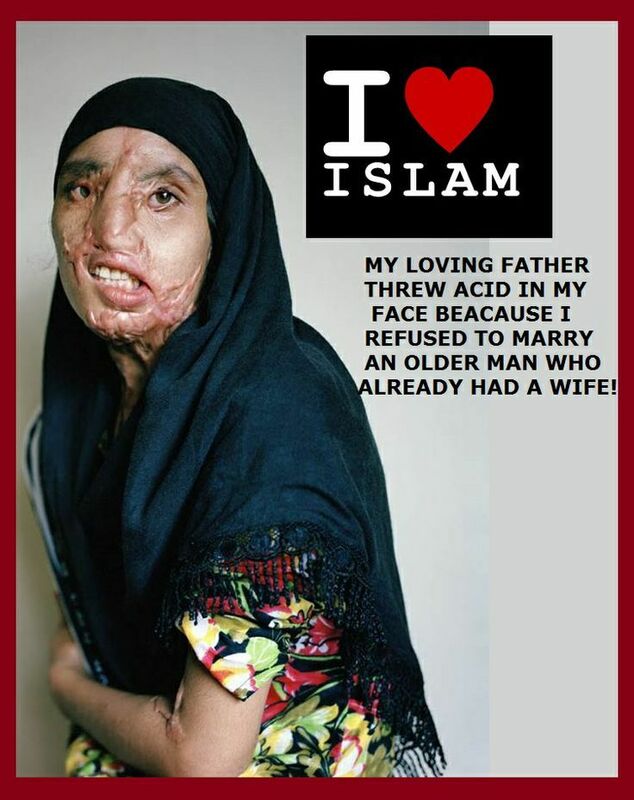 The only way to stop moslems from doing acid attacks without killing them is by cutting their arms off or maybe blinding them with the same acid. 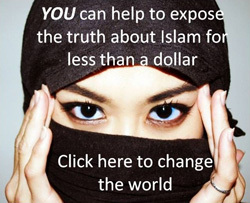 Moslems are too stupid to be afraid. Muzslime are Demons from HELL!!!!!!!! ALL of the males and many of the females support these demonic measures. Muzslime need to be HURT, really bad!!! Jealous insecure men who desperately want an attractive female but cannot get one so they DO THIS for spite. Their punishment should be SOMEONE DOES THE SAME TO THEM. 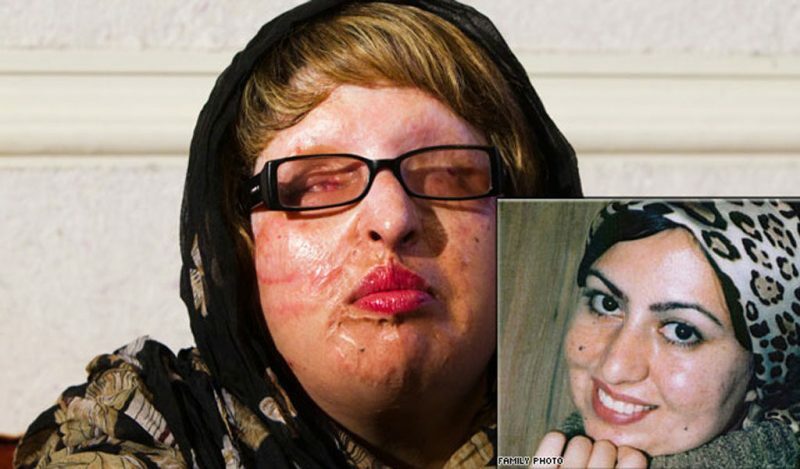 When I hear of an Acid attack I immediately know its a Muslim who has committed this barbaric act! This is Islam, its hatred & intolerance revealed! 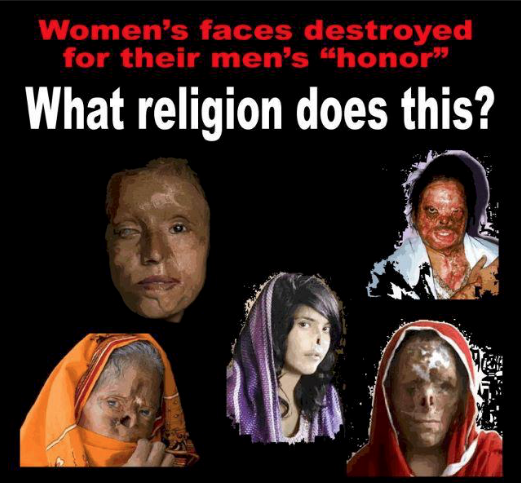 And most attacks are against women, b/c in Islam, women are HATED & ABUSED! If this is what they do to each other what will they do to us, infidels?